This travel tale is shared by Rick Guthke, Vice President of Natural Habitat Adventures Headquarters. Friends, family and people I meet randomly on a regular basis tell me just how lucky I am to work for a nature travel company, and expect that every one of my trips involves high adventure –in the roughest of climates and conditions, weathering storms or infestations, directing the construction of ecolodges while standing waist-deep in a tropical lagoon, training guides, and venturing solo into dense rain forest to discover trails to incorporate on our trips. The reality is that the majority of my site-inspection trips are focused more on evaluating existing ecolodges, meeting prospective local guides, experiencing potential excursions we’re considering adding to our trips, and, in short, determining what our clients would like best in terms of special and unique inclusions in a Nat Hab itinerary. 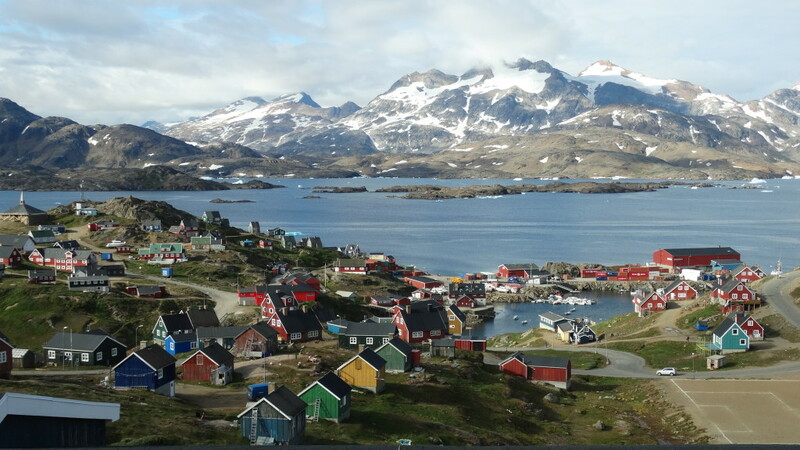 However, this past summer I actually did have the opportunity to travel to the remote east coast of Greenland and explore in the mode of adventure travel industry pioneers. Traveling with several Nat Hab colleagues, we flew first to Iceland, then continued by plane, helicopter and boat to Sermilik Fjord, the region that would provide the site for Nat Hab’s new Base Camp Greenland, debuting in 2015. We had few preconceived notions of what exactly would find, but we knew we would emerge with a grand adventure. And we did! Exploring our environs on foot and via the motorboats of the local Inuit residents, we scoured the coastline in search of that perfect cove to build a luxury tented camp in the fashion of an African safari camp, with provisions for the Arctic climate. After a few days of near-misses, almost-good-enoughs, and maybe-if-we-don’t-find-something-better, we discovered the perfect location. It had a gradual beachfront, expansive and flat rocky terrain to build upon, a backdrop of towering mountains, an Inuit settlement for resupply relatively nearby, and it was just a short boat ride away from the most stunning iceberg alley I’ve ever seen. 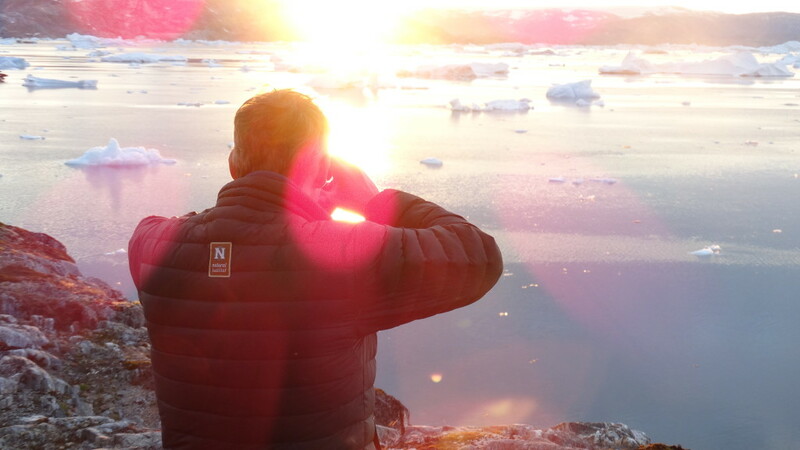 We had pinpointed the perfect site for an Arctic tented camp in remote East Greenland! 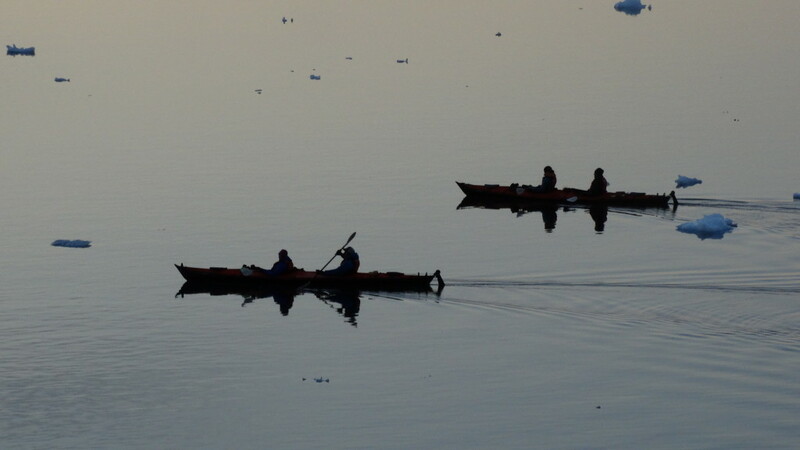 Besides the sheer beauty of the site, a whole host of Arctic activities in these environs promises to make this trip a fixture among Nat Hab’s most exciting adventures. Guests at Base Camp Greenland will enjoy fantastic whale watching, kayaking, boat cruises among flotillas of icebergs, a guided walk to the Greenland Ice Cap, Inuit cultural interactions, and explorations designed for intimate encounters with the exceptional natural beauty and wildlife of the area. And this time, I do have the ability to say with a straight face to anyone who asks, that I did have a hand in actually developing this trip from a mere kernel of an idea, while actually on the ground in one of the most wild places on Earth: the rugged and spectacular wilderness of East Greenland.